This photo had to be a winner as soon as we saw it. 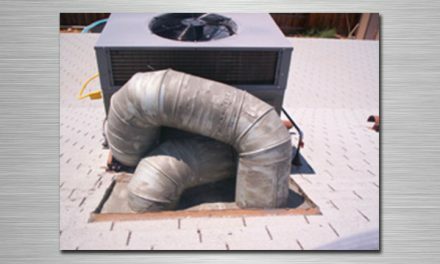 The photo typifies the type of undersized duct systems that we all are secretly seeking. 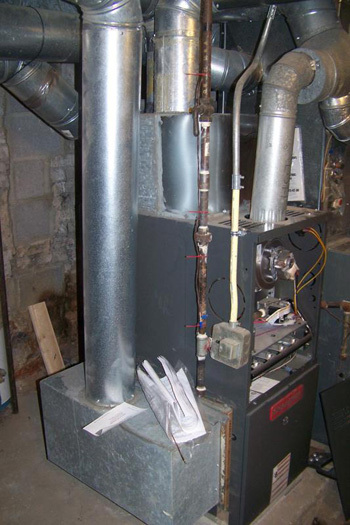 It appears to be an 80,000 BTU furnace with ONLY one 9″ diameter round metal supply duct and ONLY one 9″ return duct. Although we have no static pressure reading on the system, we suspect it has to be over 1.5″. 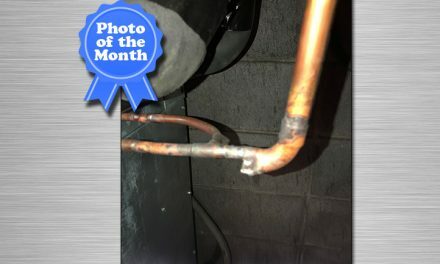 Dan Papreck of Climate Masters in Lake Zurich, Illinois takes the prize for submitting this piece of work. Dan unveiled this masterpiece during a recertification class in Chicago. We see a lot of this type of work around our area when general builders try to do systems on their own. 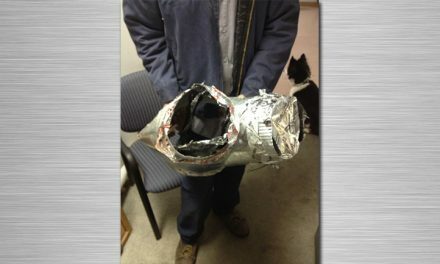 They do not want to pay a sub so they get their guys to do it leaving the home owner with a POOR install. 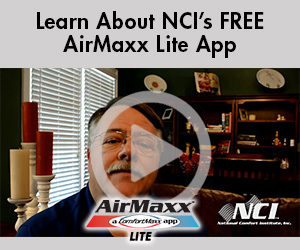 Just out two days ago looking at changing out a five ton A/C, it only had 4 x 8” flex runs for the return. I don’t know how it worked.